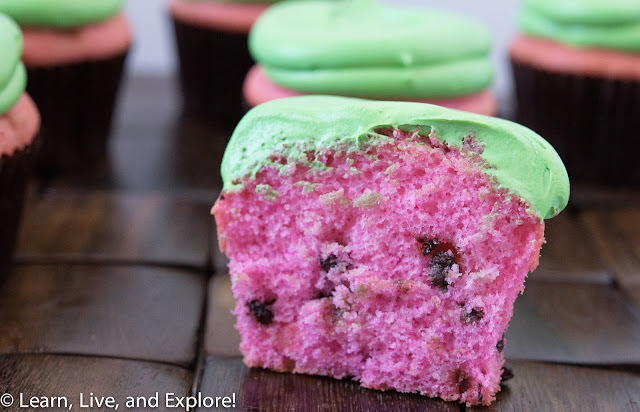 Watermelon Cupcakes ~ Learn, Live, and Explore! Here's a quick and easy idea for a cookout dessert. I can also attest to them being kid approved! Watermelon cupcakes - in looks only, not taste! Start with a quick trip to the grocery store for some vanilla or white boxed cake mix and its required ingredients, and pick up some cans of vanilla or cream cheese frosting if you don't feel like making your own buttercream. Make the cake batter as directed, add some mini chocolate chips, and color with Americolor Gel Colors in Deep Pink (#414 ) and Fuschia (#127 ). 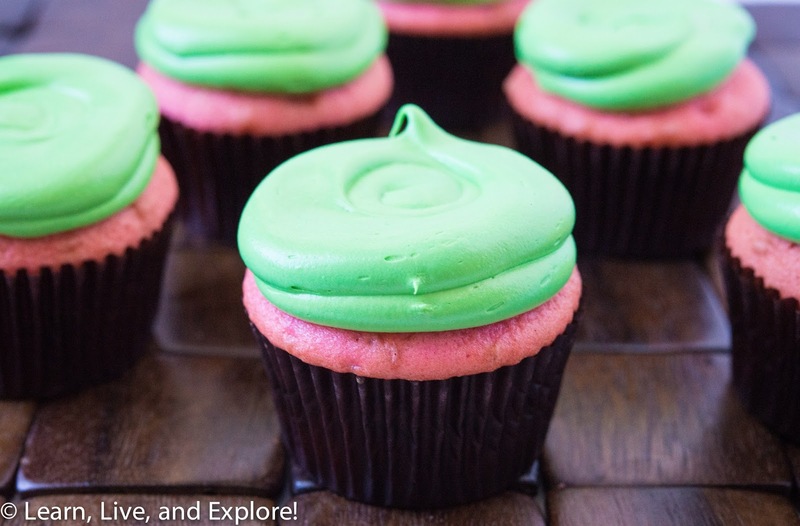 While baking, color the frosting with Americolor Electric Green (#162). Assemble the cupcakes and you're done. When you bite into them, you will see the mini chocolate chips standing in as the "watermelon seeds." Cute, right?